London Trolleybus Chronology, 1931-1962. Webber, Mick. Ian Allan LTD, 1997. 1st Edition. ISBN: 0711025282. 112 pages. 500g. Black cloth boards Near MINT in a FINE d/w. 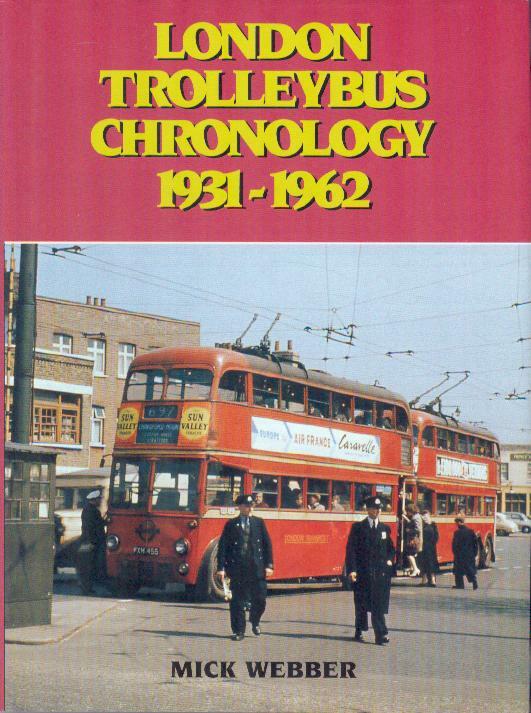 A pictorial history of trolleybuses in London, and illustrated with contemporary b/w photographs.